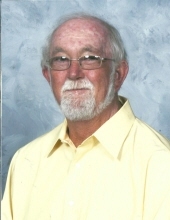 David Hare, 67, passed away Thursday morning at home surrounded by his loving family. David was born in Wilson County on December 11, 1950 to the late Lonnie Paskal and Emma “Dale” Mayo Hare. He was married to the late Judy Carol Blackmon Hare. David was a member of the Kenly Presbyterian Church. He proudly served his country in the United States Army. The family will receive friends on Sunday, November 25, 2018 from 6:00 p.m. until 8:00 p.m. at Kenly Funeral Service. A service to celebrate his life will be held on Monday, November 26, 2018 at 11:00 a.m. in the chapel of Kenly Funeral Service with the Rev. Tim Stevens officiating. Burial will follow in the Kenly Cemetery. David is survived by his son, Jason Hare and wife Emma of Emerald Isle; daughter, Jamie Bunn and husband Phillip of Kenly; grandchildren, Haley Bunn, Ashley Bunn and Landon Gower; step grandchildren, Jordan Lamm and Jacob Lamm; his sister Becky Etheridge of Wilson; and his very special K-9 companions Gracie, Lacie, and Molly. To send flowers or a remembrance gift to the family of David Paskal Hare, please visit our Tribute Store. "Email Address" would like to share the life celebration of David Paskal Hare. Click on the "link" to go to share a favorite memory or leave a condolence message for the family.